Hi! 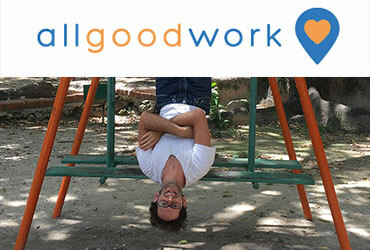 I am Ben Sacks from All Good Work Foundation here at Prosper Gowork in Crown Heights. I lead fundraising and program strategy for All Good Work. Here are some highlights from a quick interview with Ben about why he loves being a Goworker at Prosper Gowork in Brooklyn! Tell us more about what you do! We connect nonprofits and social enterprises with donated workspace in coworking spaces and business centers in New York and Silicon Valley. Here’s what a typical day in your life looks like: I’m writing and making phone calls to prospecting donors, designing program growth plans and connecting with office spaces and social impact organizations every day. What is the best thing about being your own boss (or working remotely)? Sometimes I eat avocados and ice cream for lunch. What’s the worst? I sometimes forget I live in New York. Maybe that’s the best thing, but if you don’t know what it’s like to ride the train regularly, it’s sometimes hard to feel like you really live here. Where did you work before you discovered Prosper? I worked from home, which was great until I had a kid. Then, the blessing turns into a productivity disaster. Which is your favorite spot to work in Prosper’s Crown Heights space? Those comfy couches downstairs. What does the word “Gowork” mean to you? It’s like the pioneers saying “Go West, young man!” We’re on a similar frontier of professionalism, and everything is about to change. What do you hope to achieve in 2019? Grow our New York program and keep proving that donated workspace can support the most vital social programs and services.